Sra.org.uk presents an article about a specific topic. In total 540 links were found which refer to Sra.org.uk. 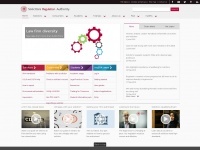 The most used keywords in text links are Solicitors Regulation Authority, SRA Code of Conduct and www.sra.org.uk. 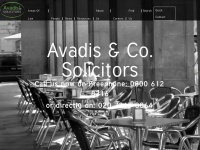 Individual words like Solicitors, Authority, Regulation and Conduct are frequently used in text links from other websites. 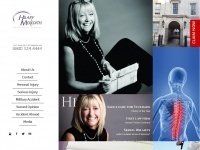 The most important link sources for this website are Lawgazette.co.uk and Fklaw.co.uk. 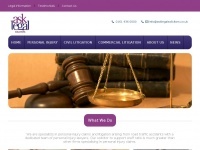 The homepage of Sra.org.uk and the subsite /solicitors/handbook/code/content.page are most referenced by other websites. The table shows the most important links to Sra.org.uk. The table is sorted in descending order by importance. The table shows websites of Sra.org.uk, which are often linked by other websites and therefore they are classified as important content. 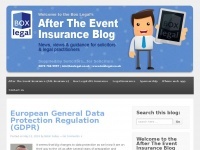 Broomhead-saul.co.uk - Broom­head & Saul Solicitors | Qua­lity Le­gal Ser­vi­ces, ..
Aftertheeventinsuranceblog.co.uk - After The Event In­su­ran­ce Blog - After The Event ..